Details on Malaysia’s EPF (KWSP) Account 1 VS Account 2 withdrawals. The 15 different categories of withdrawals have been divided into Account 1 only, Account 2 only & both accounts withdrawals. Information is for general reference only & is an unofficial summary based on EPF’s official website. Additional forms, documents required & details may not be listed. Q: How can I check/claim unclaimed monies in EPF? EPF has launched an online Unclaimed Contribution Information Search. Q. Is there a limit to the number of EPF withdrawals? For example, if I overlap my withdrawals from Ac 2 to serving housing loan & education loan. A: You can have multiple withdrawals ongoing. However, it is subject to individual withdrawal limits. For example, you can only withdraw to reduce your housing loan after 12mths from the last withdrawal date. Q: If I bought a property previously financed with Ac 2 withdrawal & later sold it off, would I be able to withdraw from Ac 2 usual for a new property purchase? A: Yes. When you sold off your property, the amount you originally withdrew from Ac 2 would be returned to Ac 2. You can now withdraw from Ac 2 to purchase your new property. Q: If a person really wanted to, could he/she deposit extra money into either EPF account? Q: Can I withdraw from Ac 2 to purchase overseas house, marriage or a personal loan? Unfortunately the withdrawal is not allowed to buy a house abroad, marriage, personal loan or other purpose not stated explicitly by EPF. Q: Can I withdraw for my children’s university studies? Yes for diploma or equivalent & higher studies in academic / professional / skill-based / vocational course in an authorised institution of higher learning. Including tuition fees & airfare. You will need to submit offer letter & other relevant documents. Q: Is it true that EPF does not pay dividends if you keep your money in EPF above age 75? There was a 2008 EPF policy that was never enforced. It has since been amended in 2015 (EPF Enhancement Initiative 3) & dividends kept voluntarily in EPF are given until age 100. Subsequent to age 100, the money will be transferred to Registrar of Unclaimed Monies. Q: For those who have passed the age of 55, can the Akaun 55 be used to withdraw for investments in EPF approved unit trusts? 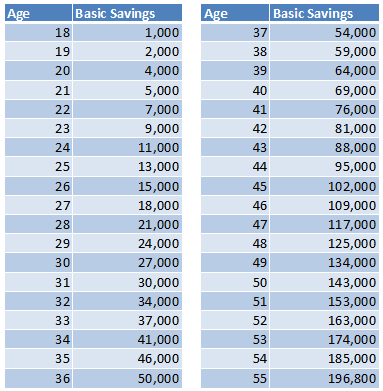 EPF’s MIS UT withdrawal is eligible until age 55 only. After age 55, Akaun 55 balances can be withdrawn. New EPF contributions in Akaun Emas can only be withdrawn upon reaching age 60.